Last week at a writer’s conference, I met with writer after writer in back to back 15 minute sessions. It amounts to an editor’s marathon when you have six or seven appointments in a row. After three or four of them it is a bit of a challenge to listen to these new ideas. Yet these appointments or pitches is the main reason that I attend these conferences. I'm actively looking for new writing talent. The prepared author is always easy to spot. They have their manuscripts ready—some of them have even brought the material on flash drives. Several authors submitted their manuscripts via email right after our session. A number of the authors I met were writing children's books. Several of these writers came from a teaching background and showed a passion for their manuscript and work. I'm a former instructor for the Institute of Children's Literature and have published more than a dozen children's book. I understand these feelings. Reading a pile of picture books, some writers have the impression that it's easy to write these children's books. Nothing could be further from the truth. It's not easy to get a children's book published. I've been reading a new memoir from Robert L. Bernstein called Speaking Freely. Bernstein was president of Random House for 25 years. One of the best-selling children's authors was Ted Geisel, otherwise known as Dr. Seuss. As Bernstein writes, "There are more than 220 million copies of his books now in print--but he was not an instant success. And to Think That I Saw It on Mulberry Street was rejected by twenty-seven houses before an old Darthmouth friend who worked at Vanguard Press got it published there." (page 60). 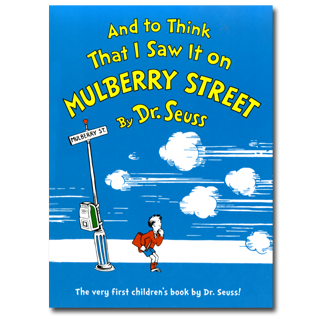 As a child, I loved Mulberry Street and it was my favorite children's book--and to think it almost didn't get published without the persistence of the author. Every author has to find their place to be published. In particular children's authors need to study and understand the marketplace. The marketplace is specialized into different age categories. For example if you are writing a children's picture book, then you need to understand whether your book is 24 pages, 32 pages or 48 pages (the standard lengths). As the book grows in length, your book will need more illustrations so the preference is for 24 page books. Your number of words are limited and each word has to be carefully selected. Also you don't have the ability to write on all 24 pages because each book has a title page and a copyright page. 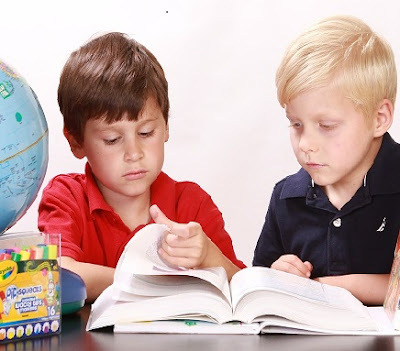 The prepared children's writer is encouraged to create a dummy or sample layout of the book. When you do this process, you will begin to see how your book will layout and it will help you rework the book into the proper format and length. I met with one children's book writer last week who thought she had a picture book but from the length fo the story, it was an early reader book (which has more words and less illustrations). As a writer, the more work you do on refining your manuscript into the proper length and format, the more interest you will generate from editors in your work. Then your pitch sessions or appointments with the editors will be more productive and have more potential. If you are writing children's books, I encourage you to study the market for your type of manuscript. Also create a book proposal for your children's book. Because children's books are short, the writer often comes with the complete manuscript. Writing a book proposal will help you pinpoint the distinctions of your book, the market for your book, and also the competition for your book. A book proposal will help your submission stand out with an editor from the other writers. It will help you make a lasting and positive impression. My Book Proposals That Sell has never been so inexpensive and comes with a series of bonuses and extras. Whether you get the book or not, I encourage you to step up your preparation before you head to a writer's conference or email your pitch to an editor. It will help you succeed and get published. Whether you are writing children's books or adult books or fiction or nonfiction, you need to give the best possible pitch to an editor or agent so you capture their attention. Are children's books easy to write? Not according to this experienced editor. Get his insights here: (ClickToTweet).